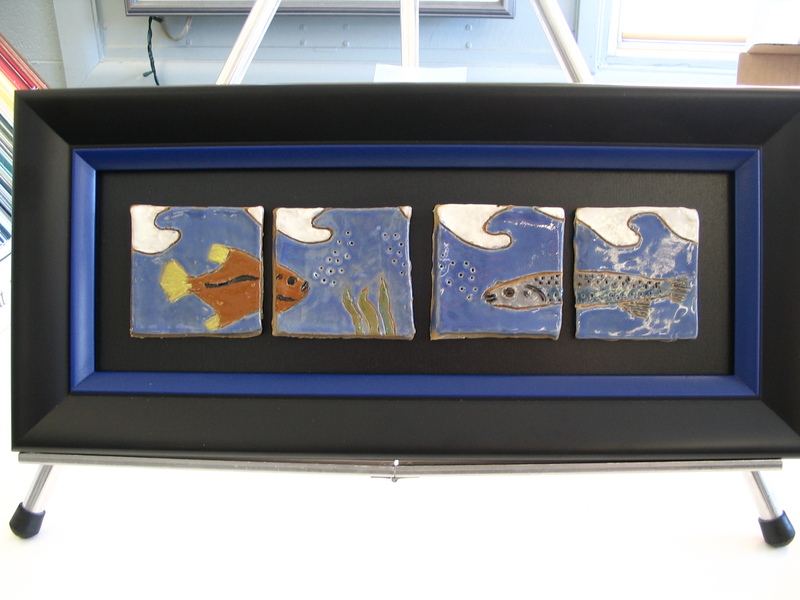 These sweet handmade tiles are mounted onto a black board and then set into a large classic black frame with blue. Framing adds a sense of importance to the art and makes it easy to permanently display. This entry was posted in shadowbox frame and tagged bathroom art, display 3 dimentional art, handmade, picture frame, tile. Bookmark the permalink.